Personal Audit Systems Ltd has an extensive list of Blue chip clients. These include The Royal Bank of Scotland, The Royal Automobile Club (RAC) and Aviva. 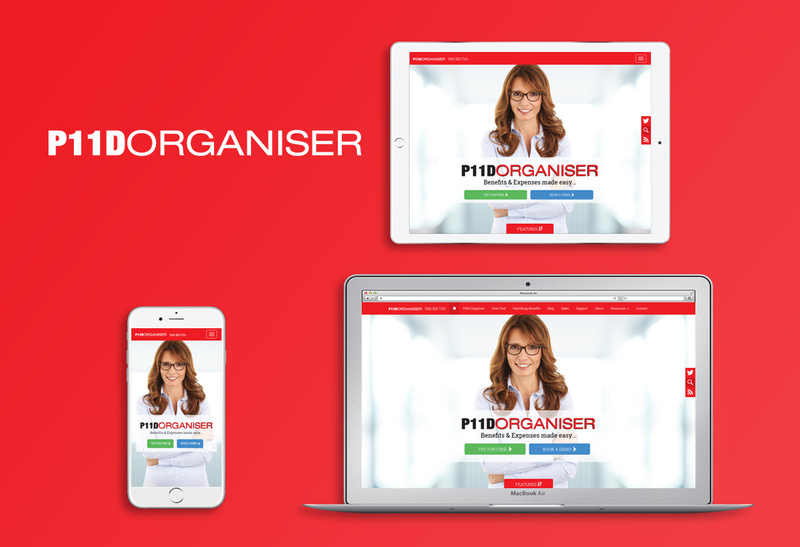 PAS Ltd’s core product is the P11D organiser. Annually this product is used by over one million customers to make P11D returns to HM Revenue & Customs giving PAS Ltd a 25% market share in the UK. PAS Ltd approached WebPraxis for a complete on and offline makeover which they believed was essential to maintaining and building their exciting portfolio of customers. WebPraxis were also handed a remit to establish Search Engine Optimisation campaigns and use Google Adwords to drive enquiries for their P11D Organiser software. In addition to a new website, WebPraxis was given a free rein to reinvent the company’s entire branding and marketing strategy. To do this we worked hand in hand with PAS executives to understand their product, their clients and the market within which they operated. This gave us the foundation on which to assemble a new branding and marketing strategy by completely overhauling all that had gone before. The idea was simple to tie all offline sales and marketing paraphernalia with a delectable online presence to reinforce PAS’s position as a leader in their field. The overhaul which was from top to bottom started with the company brand identity. We thought strategically about photography and imagery and created a series of illustrations based around benefits and expenses legislation. To increase product enquiries WebPraxis built optimised landing pages for the website, that allowed a free trial download of the software. We also optimised page content to ensure that it was relevant to PAS’s customers, allowing them to find information that they were looking for easily. WebPraxis have also been heavily involved in the front end interface development and design for PAS’s customer portal and online Virtual Bureau service. Running in-conjunction with a PPC and Organic SEO Campaign, in the last two years PAS Ltd has seen a 300% increase in conversions. The website now accounts for the majority PAS’s new business. By tracking the ROI for every penny of their marketing investment, be it offline print advertising or Google Adwords, PAS are now able to much more intelligently control their advertising spend. All this has contributed to PAS being awarded the prestigious Software Satisfaction Award for 2010 – Enterprise Payroll Product of 2010. WebPraxis continue to provide online marketing consultation, and branding services.